With a collection of sleek and stylish fashion finds, it has to be Notcouture. To find out more about each of post, click on the individual images. On silly trends that seem to be popping up… have you noticed the Magnetic Clothing trend? Sure, a lot of people switch their jewelry clasps to magnets to make things easier, and its definitely helpful for arthritic hands and such… but magnetic babies clothes are available from Magnificent Baby and magnetic lingerie from french Lingerie Dement… and if you’re ambitious enough, you could even wear, what one could barely call a bathing suit, a swim suit of magnets from Klik Klik Jewelry. Perhaps it’s just me, but i can just imagine being THAT magnetic ~ as if the horror of toilet paper sticking to your shoe isn’t bad enough, what if a fork leaps up from the table and stuck to your cleavage… or sticks to your CHILD? This could get dangerous! Are these rare earth magnets? How strong is this stuff? Then again, if its TOO weak, that could also pose a lot of problems! So i’m curious ~ would you go magnetic? On the upside, maybe the magnetic wallet could be an attachment that just snaps on to your… clothes? Could it be set up so this is even more effective than those magnetic therapy bracelets? Or could it be detrimental? I totally understand the appeal of not dealing with all those buttons on your baby’s clothes ~ and wanting to preserve your gorgeously lacy lingerie while still letting him literally rip them right off of you in no time at all… but would you wear it? And how does it react when you go through airport security! Clearly i have a million and one questions running through my head on this theme tonight ~ i blame Cool Hunting for kicking off this train of thought, and finding the adorable illustrations over at My Little Paris… now go see all the pics on the next page! NotCouture has had so much wearable goodness as we ease into fall/winter… feeling the darker side of things today, so here’s a roundup of some dark, edgier pieces that caught my eye lately… enjoy! Click the images to find out more! Remember the Frietag Reference Collection i obsessed about when they pre launched in silver with 10 Corso Como and gold with Colette? (I gave in to the 10 corso como laptop sleeve) Well the full collection has now launched ~ and it’s stunning! Freitag Reference collection - microsite they even explain - “Since 1993 FREITAG has been manufacturing bags inspired by messengers riding on wheels. Now we turn to those messengers writing on paper. Messenger comes from message; and today, the media are the horse that carries him.” Luckily, in addition to the paper these messengers are writing on, lots of the bags have great laptop sleeves built in too! 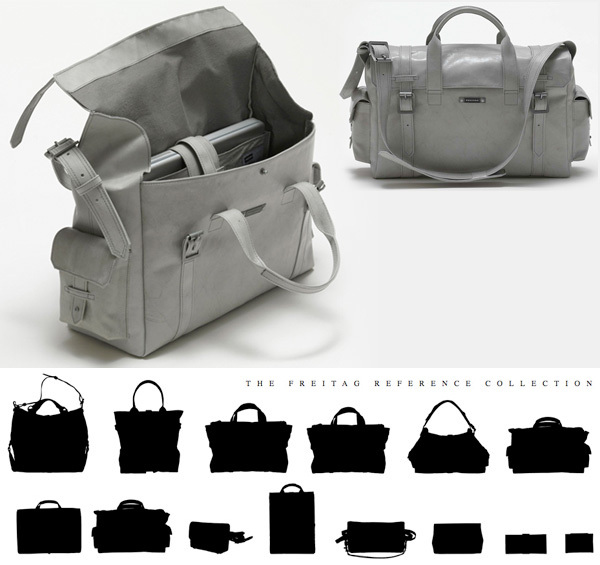 BUT - beyond this series of 14 stunning bags (a combination of their classic truck tarp bags taken further with sleeker designs and linen lining), there is the daily paper and pop up shop! ” REFERENCE is also a newspaper. Printed at the REFERENCE editoral space on a lead press from 1840, inspired by cut-outs from other newspapers commented on by the Bros., guests and you. Currently, all THE DAILY REFERENCES are reunited and will be published as THE REFERENCE soon. The REFERENCE editorial space is a shop and reading room at Grüngasse 21 in Zurich, where coffee and the new product line are compiled for your enjoyment.” Check out more on the line, as well as close ups of the one i lust for the most… on the next page! This week we bring you another stunning roundup of fashion’s finest at Notcouture. To find out more about each gorgeous post, click it’s individual image. Ok, in addition to my so called “packaging fetish” ~ i have a fascination with marker renderings. Yes, digital is fun and all ~ but there’s something so gorgeous and amazing about marker rendering too… and then when you mix the analog and digital for even cooler outcomes (more on that later!) 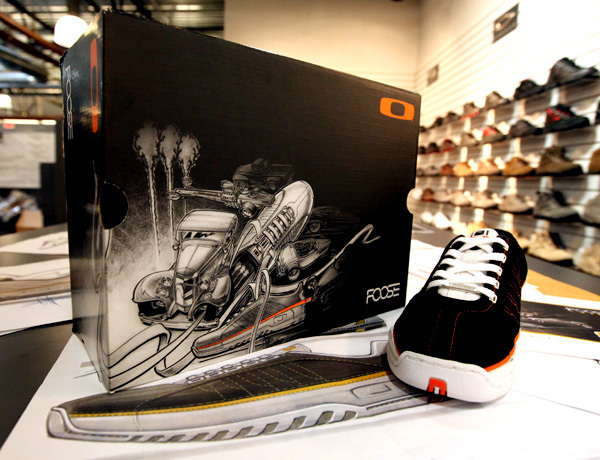 Well another fun discovery while down at Oakley HQ ~ i got to check out the sketches behind the box and new shoe design they just launched with Chip Foose! Foose is known for his amazing hot rod designs (Youngest to be inducted into the Hot Rod Hall of Fame). 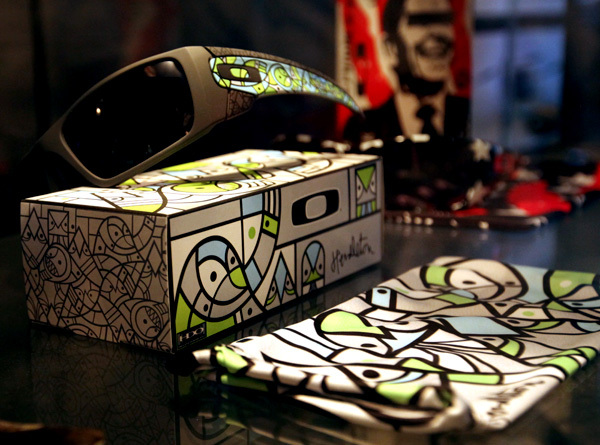 In fact this weekend, Oakley has just released the Oakley Three Palms shoe at the National Hot Rod Association’s US Nationals where Foose is the grand marshal. So take a peek at the design behind the packaging and shoes on the next page! This week’s Notcouture roundup is effortlessly stylish, bringing you a glimpse of fashion’s finest. To find out more about each post, just click on the individual images. Dominic Jones Jewellery always pushes the boundaries between the natural, the elegantly fashionable… and that crazy edgy look that will scare off a few folks. The latest collection has beautiful rhinoceros beetle rings i’m lusting after… an incredible shark’s jaw envelope clutch… and some intense gator jaw cuffs… see some of the most intriguing designs on the next page! Another stunning week of fashion at Notcouture. Whether you’re after gorgeous garments or drool-worthy accessories, this roundup has it all. Click the individual images to find out more about each post. Another sophisticated and stylish roundup of fashion’s finest from Notcouture. To find out more about each post, simply click the individual images. This week’s Notcouture roundup is full of drama and includes some exceptional shoes, bold accessories and plenty of style. Click on the individual images to find out more about each post.